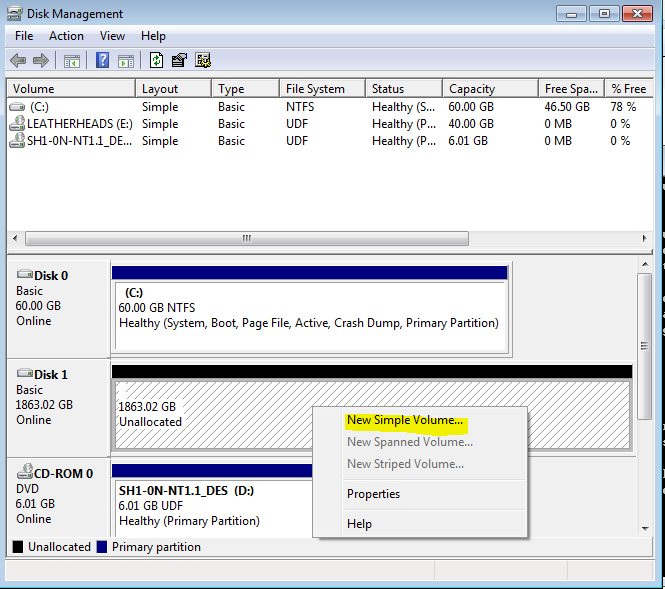 Q: How to reformat USB external hard drive to NTFS file system? If you got similar situations as below, Please follow the solution here to reformat your USB external hard drive, the issue can be fixed immediately. When using HDML-Cloner Box Pro, you cannot use the remote to playback the recorded video after recording. To be more specific, you can use HDML-Cloner Box Pro to record videos successfully, but you can't playback it with the remote. During the process of recording, HDML-Cloner Box Pro stops recording abnormally. Note: Before reformatting, you must back up all important files on the USB external hard drive first. Otherwise the files will be deleted. Step by step instructions to reformat USB external hard drive. Connect your USB external hard drive to your computer via USB port first. 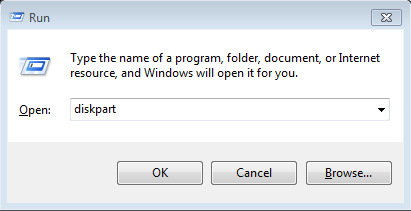 Press the Windows key + R on the keyboard at the same time to open the startup program window, input 'diskpart', then press Enter. Clean USB external hard drive's boot information in "diskpart.exe". a). 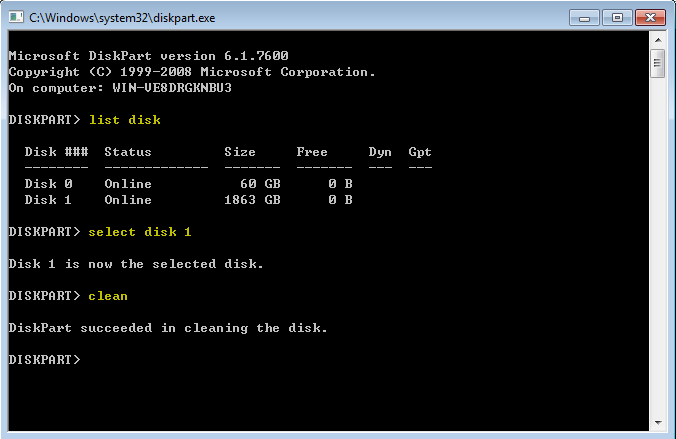 Use command "list disk" to list all your hard drives first. b). 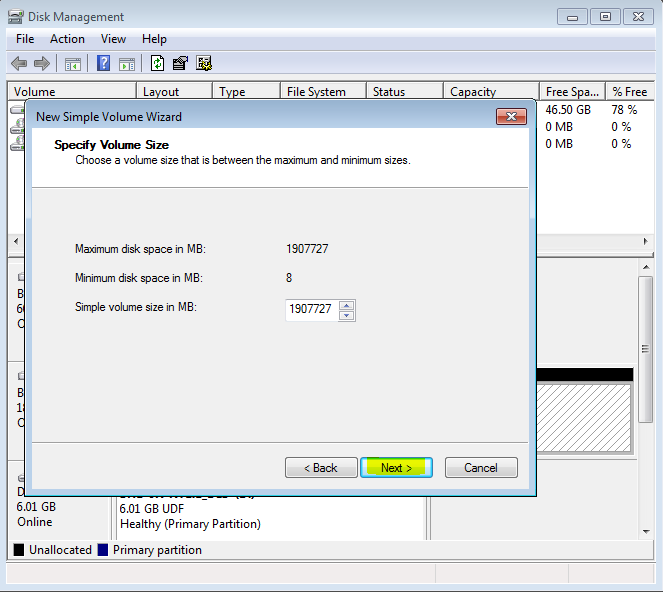 Use command "select disk X" to select the corresponding USB external hard drive. "select disk X" (If you are not sure about the USB external hard drive's exact index number, please open diskmgmt.msc to view the disk properties and confirm the information. 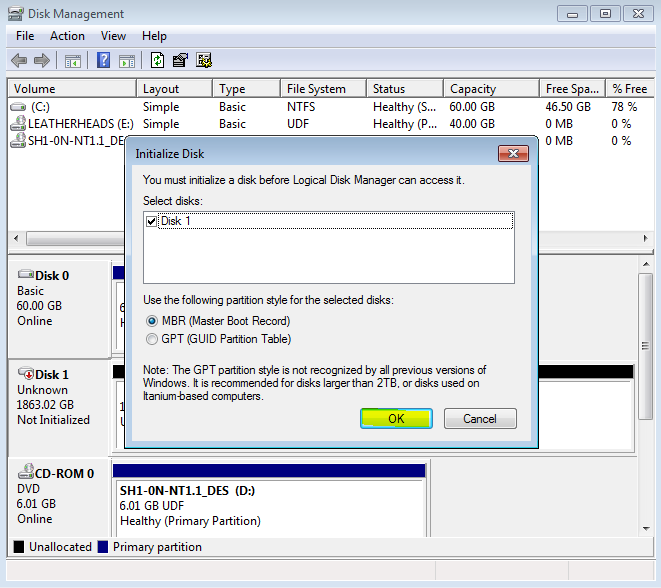 )(NOTE: Do check it carefully, or the mistake will result in data loss on your other hard disks.) c). Use command "clean" to clean data. 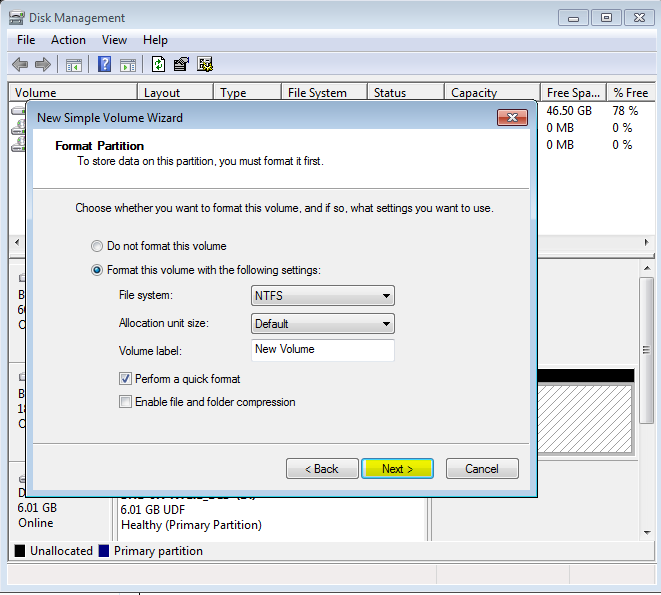 Steps to format the USB external hard drive using "Disk Management". a). Press the Windows key + R on the keyboard at the same time to open the startup program window, input 'diskmgmt.msc', then press Enter. b). 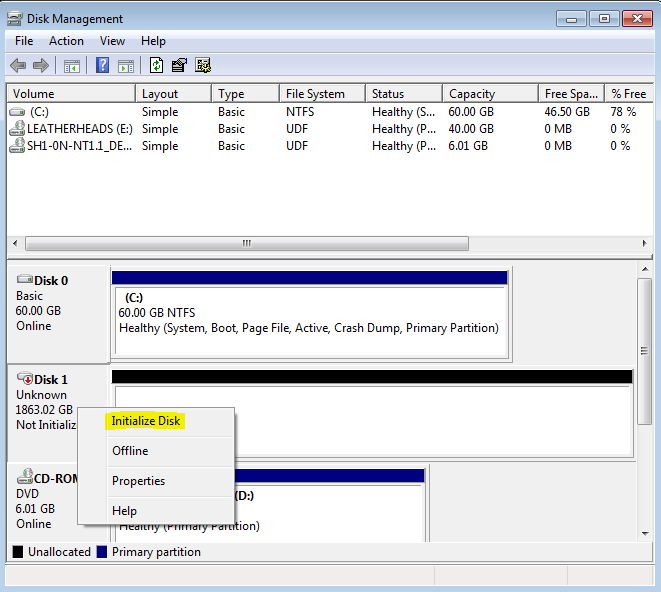 Right click on the disk index icon and select "Initialize Disk", Do select "MBR(Master Boot Record)". c). 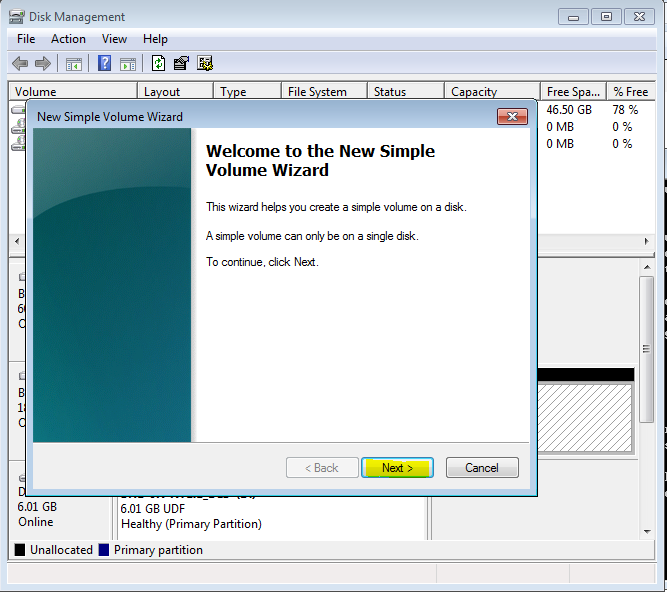 Right click on the disk volume region and select 'New Simple Volume'. d). 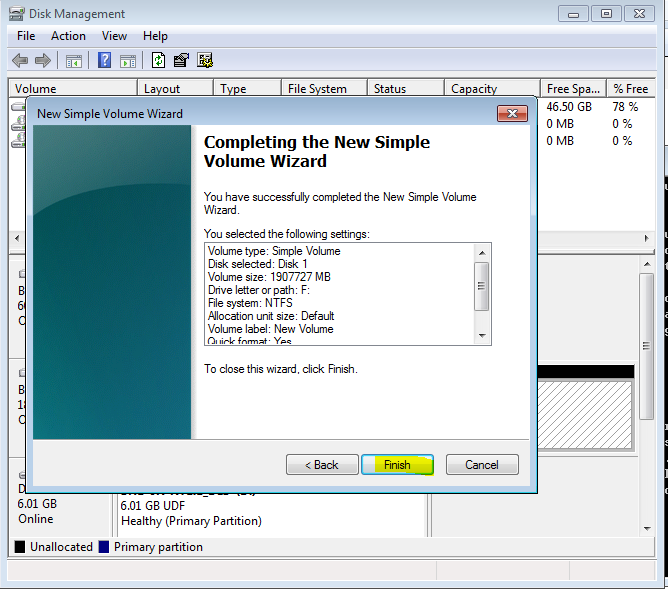 Follow the steps below to create and format volume in Wizard window. After reformatting the USB external hard drive, you can use HDML-Cloner Box Pro to record and playback videos perfectly.